wouldn't these make such great gifts? 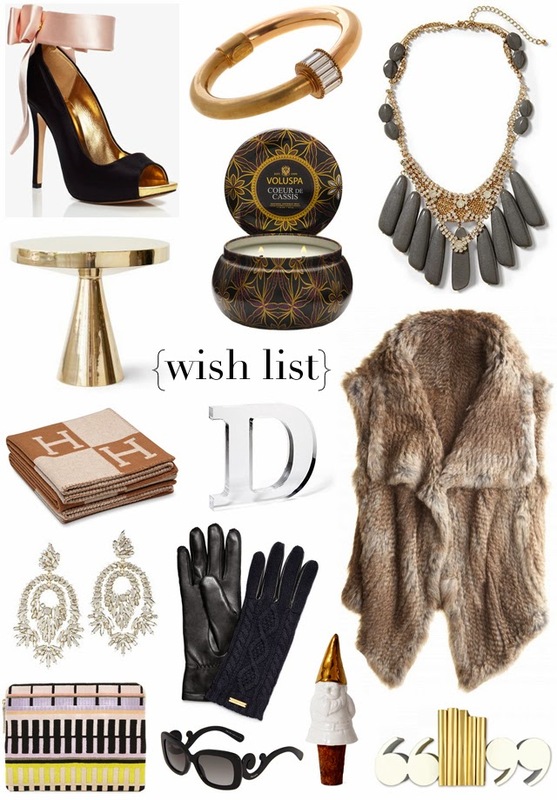 we're thinking the Hermes Avalon Blanket for a relative, the Metallic Stone Statement Earrings for your best friend and the Cable and Leather Glove for yourself. a little chic for them, a little chic for you! I love the fur and gloves. And the lucite letter, I'll take it! Seriously, I did a double take when I saw the quote bookends, but they're unavailable at the click through link. Now, I'm on the hunt! Thanks for sharing them, Dallas.